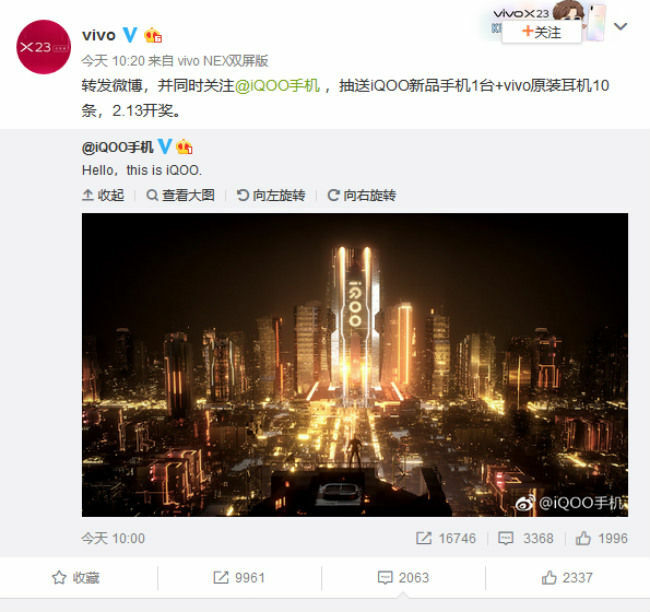 While it’s not clear how the sub-brand will be positioned by Vivo, a new account by the name of iQOO has appear on Chinese social-networking site Weibo. Vivo announced a new sub-brand called iQOO in China. The sub-brand's social media account started posting recently with official endorsement from Vivo. The brand is reportedly positioned as a premium brand and is likely to launch smartphones priced above RMB 5000. Chinese brands are no stranger to creating sub-brands to remain competitive. Huawei has Honor while Xiaomi has both Redmi and now, Poco while Oppo has Realme. However, one brand that has so far shied away from a sub-brand is Vivo. But if recent reports from China are to be believed, Vivo is also all set to announce a new sub-brand called iQOO in 2019. While it’s not clear how the sub-brand will be positioned by Vivo, a new account by the name of iQOO has appear on Chinese social-networking site Weibo. The account initially sent out just one post that read, “Hello, this is IQOO” with no other information. Soon, however, a second message went live followed by a stream of others confirming the brand as part of Vivo’s family. The account is named “iQOO Mobile Phone” and has comments from people as well as Vivo replying to the posts. Vivo wrote in a reply to a post, “Welcome new friends in the new year.” While it’s not confirmed, reports out of China claims the sub-brand will be positioned as a premium offering. 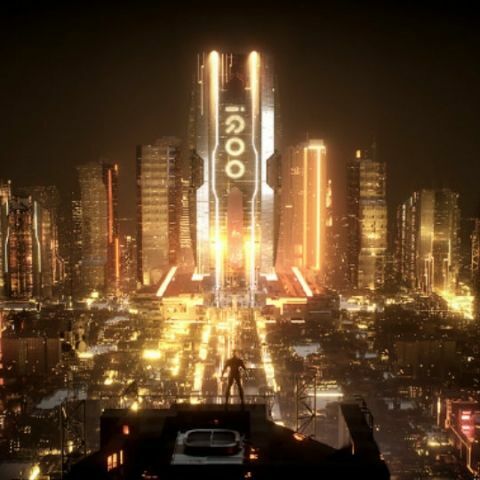 IQOO smartphones will reportedly be priced above the RMB 5000 mark (roughly over Rs 50,000). It’s also unclear whether the brand will operate in India. For now, official social media accounts have surfaced in Chinese sites, so it’s safe to say the brand will debut first in China. In China, Vivo sells phones in the price range of RMB 1000 to RMB 4000 (approximately Rs 10,000 to Rs 40,000) in China. The company has been increasingly entering the premium segment with futuristic offerings like the Vivo NEX and the Vivo NEX Dual Display. The new sub-brand might have been formed to get a better hold of the premium market. iQOO.com, the brand’s official website is also registered to Vivo. However, the website doesn’t contain information on any upcoming devices. We expect more details to come out in the future. Sub-brands have quickly become a strategic way for Chinese brands to increase their presence. For instance, with Poco, Xiaomi was able to portray an imag of an affordable flagship, while Oppo did the same wit Realme. Huawei’s sub-brand Honor has almost become a company on its own by now, registering high growth while Xiaomi’s Redmi now has a niche cut out for its own with devices like the Redmi Note 6 Pro selling like hot cakes. It’s no surprise, as a result, that Vivo plans to join in on the action.